The days of physical photo albums ended when photo album software became the norm. However, digital photo management applications, including the built-in photo album software for Windows 10, have also ushered in a huge problem to users: large volumes of photos. Storing thousands of images on your device can clutter up your laptop, hard disk, flash drives, cloud storage, and mobile devices. That means searching for pictures taken a few months or years ago can be a daunting task. On top of that, there’s also the issue of duplicate photos that you must handle. This post aims to help you select the best photo album software for your Windows 10 PC. Magix Photo Story Deluxe allows you to import photos directly from your camera, apply minor changes, create slideshows, and share them with friends and family. The tool has custom albums and flexible view/management modes to let you find photos and videos quickly. You can also highlight your photos using the clearly laid-out slideshow monitor and the user interface with its dark colors. 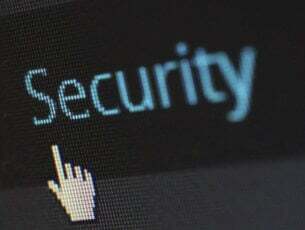 The application has an automatic face recognition feature to detect people’s faces. The free version of Magix Photo Story Deluxe lets you save up to 10 people. If you are looking for photos of summer or landscapes, the program also analyzes image content including colors and shapes to look for similar photos. 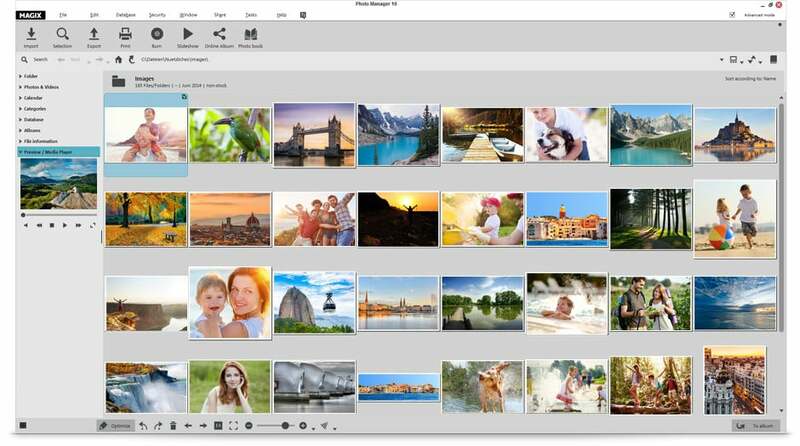 Magix Photo Story Deluxe also lets you sort your photos according to thematic categories, such as night scenes or beach photos. You can also rate your images to sort them according to their importance and quality. Additionally, you can back up your photos to CD, DVD. 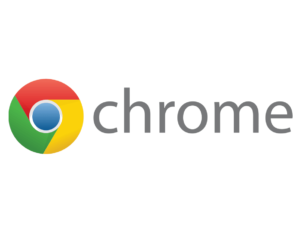 You can also import and optimize uncompressed image data from more than 590 camera models. You can download Adobe Bridge from the Adobe website. 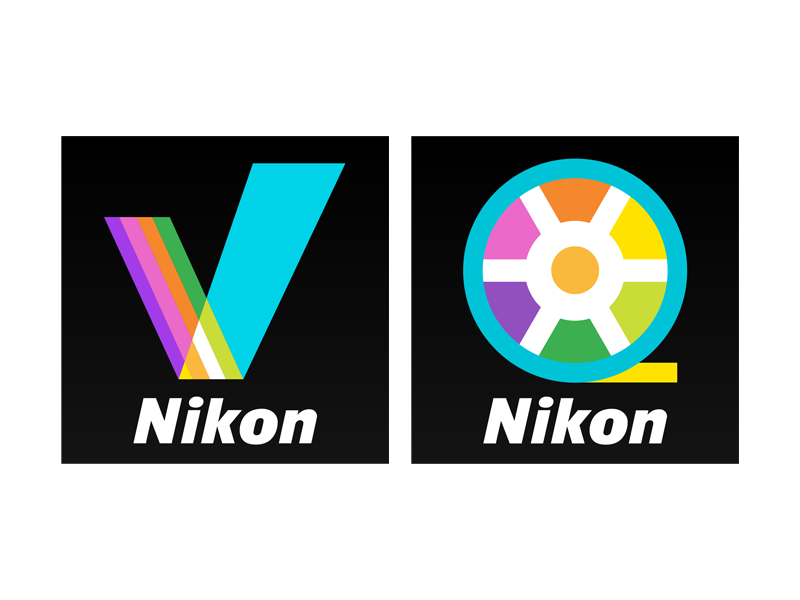 You can download the program from Nikon for free. 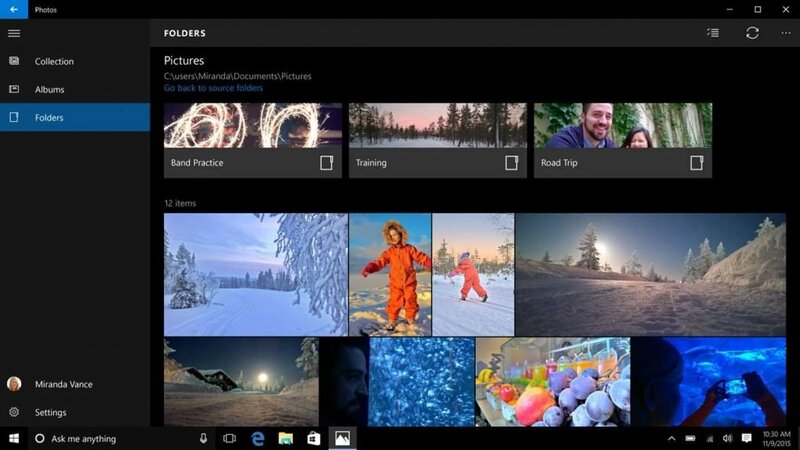 Microsoft Photos is among the best tools to organize, edit, and share all your photos. It stores photos and videos from all your devices, enhances them to make photos look better, and organizes them into albums for you. Brings together photos from all your devices in one place using OneDrive. Browse through your photo collection by date, album, or folder. Create your own albums, view your albums from OneDrive, and share albums. Albums are created for you automatically, and you can edit them to add a personal touch (PC only). Enhances your photos with improvements to lighting, color, contrast, red-eye, straightening, and more. Compare the enhanced image to your original to see what you like best. A range of editing tools let you do everything from basic fixes to vignette framing, filters, and other effects. One app for both PC and mobile, adjusts to give you the best view for each device. 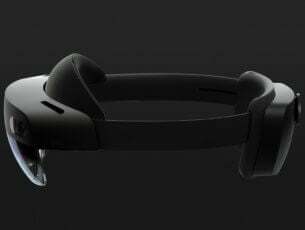 The app can be had from the Windows Store. Image Management. 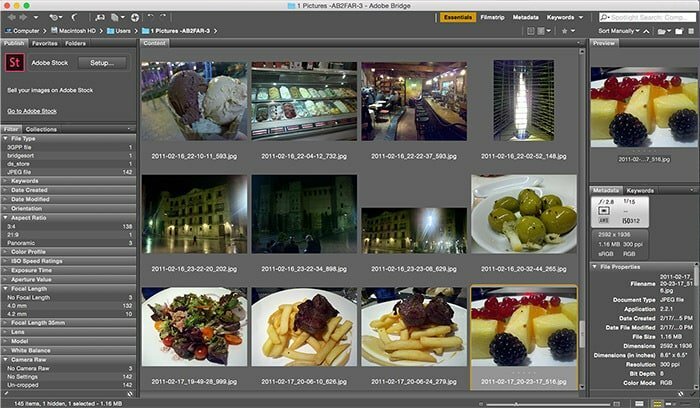 Pictomio easily manages thousands of media intensive images and video archives and groups your media according to orientation, time, type, size, rating, etc. Video Management. Finally a tool to directly manage your videos. Along with viewing Thumbnails you can also rotate and zoom video. Library. With the Library you can display photos by the date taken and EXIF values (e.g. type of camera) as well as sorted by category and album. EXIF Editor. With the integrated EXIF editor (Exchangeable image file format) you can see, edit and save the meta data of JPEG files. 3D folder. The 3D folder symbol previews the folder’s contents. You can also display all your pictures in fast-forward. 3D Image Carousel. Browse through your pictures With the visually engaging 3D picture Carousel. The direction of motion can be controlled by the mouse. Slide Show. Pictomio simplifies the production of slide shows for you by using a drag-and-drop interface. By Using the capabilities of 3D graphics cards you can also integrate elaborate page transitions. Tools. Web designers will find the color pipette and the measuring tool helpful in determining color values from pixels and measuring a section of an image. Image Rating. Using dynamic controls you have access to comprehensive rating and filter functions. Liquid-Zoom. Smooth High quality zooming using Mip levels for the reduction of aliasing lets you easily zoom in on your images. The bilineare filtering can be deactivated in order to see exact image details down to the pixel. pictoGEO. Use pictoGEO to link your digital photos to location information. This allows you to view the location where you took the picture on a map. Import Wizard. Pictomio’s easy-to-use import dialog box guides you through the application step-by-step. 3D Trips. pictoGEO not only manages your images but your trips as well. These are displayed in 3D including information on altitude and distance. Map View. Trips and images including GPS information are shown on maps and can be edited afterwards. Photo communities. Share your favorite photos with the rest of the world: Pictomio offers support for picasa, flickr, ImageShack, facebook, and photobucket. Manual geotagging. With Pictomio getting a GPS fix for your images is a snap. The coordinates are stored as EXIF information if requested. Trip view. Highlight: whether you are traveling on a plane, in your car, on your bicycle or on foot, pictGEO will not only show you the exact location where you pictures were taken but also the distance you have covered on your journey. Archive every meter you cover on your next vacation so that you will be able to track exactly where you went many years from now. Trip management. You can integrate the routes you recorded into one or several virtual trips. You have the option of showing or hiding specific routes (e.g. only your flight) and view routes in more detail. Do you know of other useful photo album software for Windows 10? Let us know!